Home Apps Line Tech News Line’s emoticons add first ever photo stickers! Japan's largest social network in 2013, Line, added their first ever photo stickers (pictured). 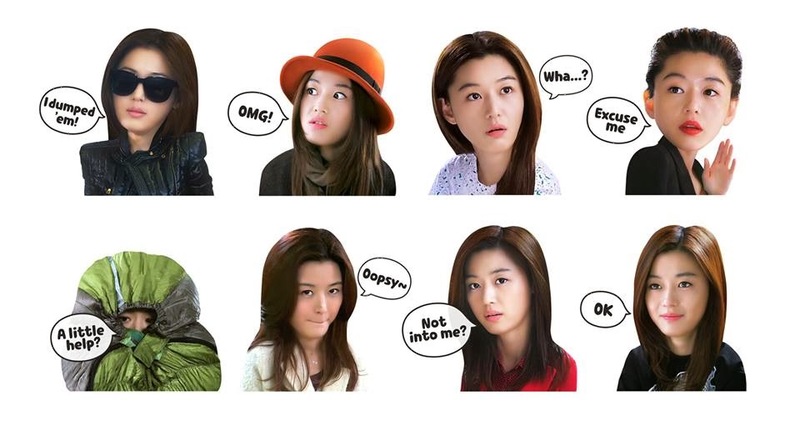 The new photo stickers of messaging app Line, show South Korean actress Jeon Ji-Hyun, from the popular Korean romantic comedy series “My Love From The Stars”. The stickers might be in local language and are free to download.